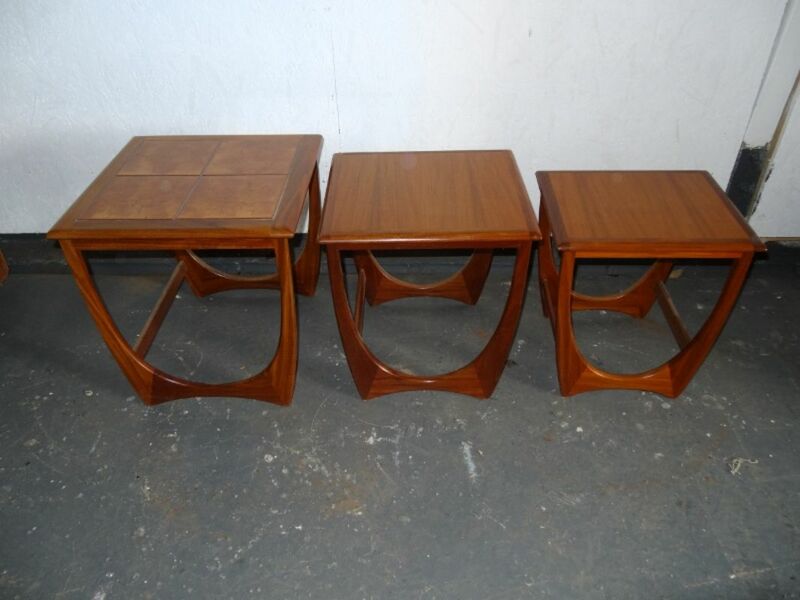 Nest of 3 G-Plan Coffee Tables in teak, Largest has brown tiled top. 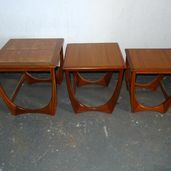 Smaller 2 have wooden tops. Largest 20” (51cm) tall, 19 ¾” (50cm) square. 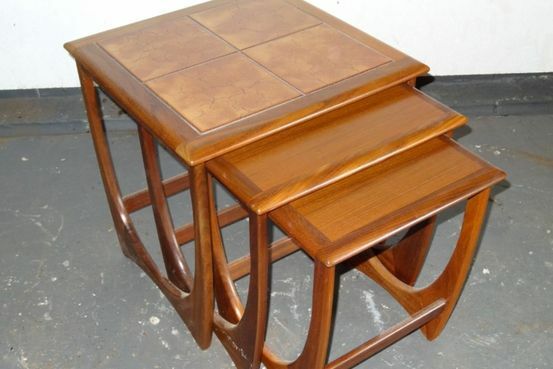 Middle table 19” (48cm) tall, 18” (46cm) x 17” (43cm). 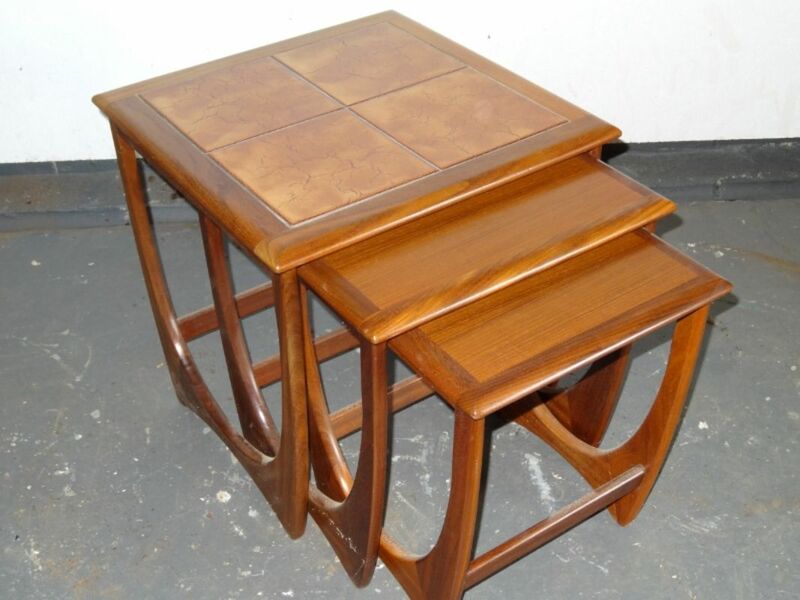 Small table 18” (46cm) tall, 16 ½” (42cm) x 14” (35cm).